You Can’t Beat Vera’s Meat Success! Why own a Vera’s Burger Shack? A brand you can be proud of! Vera’s Burger Shack has consistently been voted “Vancouver’s Best Burger” for over 10 years by the largest readership polls in BC, including the Georgia Strait and more. A growing success story. 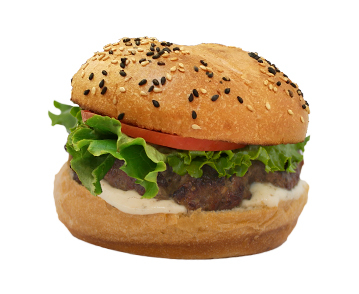 One with 17 locations across Canada, 25,000 social media fans and more than 1,000,000 burgers sold! A commitment to mutual success. Vera’s Burger Shack provides extensive training and operational support including purchasing, communications and marketing. Because it’s fun! We’re in business to serve up great burgers, and great times. “They really set us up for success... It’s a lot of work, but it is rewarding. And it’s fun. I enjoy what I do..."
A local favourite, from the very beginning. 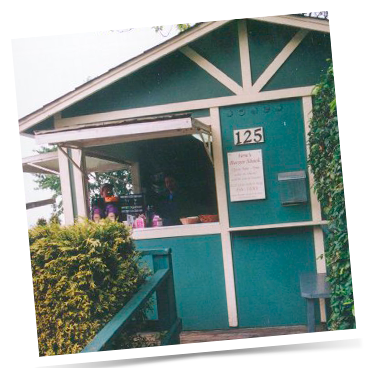 In 1977, Vera and her husband Frank opened their original burger shack at Dundarave Pier in West Vancouver. With a passion for burgers, and a passion for taking care of their customers, Vera’s Burger Shack soon became legendary. When Vera and Frank retired, their granddaughters took over and began serving the next generation of happy customers. In 2000, family friend Gerald Tritt took over the concession and soon after he and his partner Noah Cantor expanded Vera’s Burger Shack into other communities. And today, Vera’s Burger Shack has served more than one million delicious, homemade burgers in a friendly, comfortable environment that would make Vera and Frank proud. We serve an honest burger. And honestly, that’s why it’s been voted “Vancouver’s Best Burger” for over 10 years. Vera’s only uses fresh, 100% beef and is cooked right when the customer orders it. Alongside our burgers, we’re also famous for our freshly cut, double-fried Kennebec fries and milkshakes made with real ice cream. Join the Vera’s Burger Shack Family!